For additional handwriting resources, including more books, please see the Worksheet Finder. In Nursery children all enjoy painting with large paint brushes, their fingers, sponges and other materials. This is the start of the development of the fine motor skills necessary for progression to the formation of the letters. Children at an early age may use either hand to paint and as the control is developing they will gradually select either their left or right hand. ‘Handwriting patterns’ and ‘The start of handwriting’ are useful papers to be used to help children with their control before they begin actual letters. The patterns in these pages are large and allow children to develop the motor skills for the formation of letters. The child has to learn the correct letter formation, proper proportion, and how to space. Manuscript, Italic and Cursive writing may be taught in Primary schools. It is always wise to check with the school which form of handwriting they have adopted. The National Curriculum states that “all pupils should be able to write fluently and legibly in printed and joined writing” by the time they reach secondary school. Children also need to learn to write their numbers so you will find pages which will be useful for this. We have also suggestions which can be used to help left-handed children. Colouring helps your child with early pencil control. See also under Creative Activities - Colouring in the Worksheet Finder. Many children are very slow when doing handwriting so a task such as writing a story can be daunting. It is helpful to give these children plenty of practice in actual handwriting techniques. Build a tower with small Lego blocks……have a race to see who can do this first! Child repeats this using their finger and writing in the air. Make sure that they use large arm movements and talk through the steps out loud. Buy a chalk board with some chalk. Using board on a table write letters on the board. Try writing on child’s back so they have to guess the letter and then the child does this to you. Write with a variety of pencils and pens i.e. coloured markers, finger paint, pens etc. This section on Handwriting introduces pupils to different ways of 'joining up' writing. Why not try the Handwriting worksheet on 'Pets' or 'My Family'? Wipe-Clean books are prefect for young learners starting o write - they can practise over and over again, refining their skills every time. Focussing on joined-up handwriting, fFriendly monsters show how to write each letter in a way that makes it easy to join up. There are dotted letters and words to draw over with the wipe-clean pen; by the end of the book, there are words for children to copy without the dots. Theres even a short story to complete in your best handwriting. There are plenty of different activities for children to enjoy, as well as useful tips given by the friendly characters in the book. 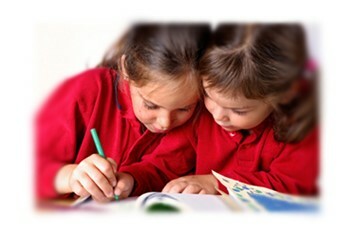 The progression is good and will give children confidence in moving on to that tricky joined-up writing. This is an excellent progression from learning to write single letters, with a blend of age appropriate tracing and writing activities. For added interest, there are puzzles which widen the learning scope of the book, including hidden pictures and spot the difference. The illustrations contain some lovely humorous touches - I love the undersea lemonade stall! These have lots of appeal to children, who will be learning without even realising it. The practical spiral binding is excellent, as it allows the book to lie flat for easy use; it also gives a storage space for the pen which is included. The writing wipes off easily if you remove it immediately; baby wipes are also a great solution for easy cleaning. Wip clean books are perfect for building confidence, as children can just start afresh if they make a mistake, and also go back to the book a few weeks or months later when skills have developed. This is an excellent book with much to offer beyond just writing words. Published by Highlights Press, May 2018, ISBN 978162979230. Early pen control skills are really essential, and this lovely book provides an excellent way for children of 3+ to practise their skills - and then wipe the writing away and start all over again. At the same time, as they join the dots., they will be learning key first words and counting. All sorts of friendly animals are here for children to join the dots, and they are also asked questions that they can answer once they have joined the dots. This board book includes a wipe-clean pen which is slotted into a holder at the top of the book so you can always find it. The shiny board book format means the book can be used over and over again, and children's pen skills will improve every time. They will love joining the dots to complete words, numbers and all their favourite animals including elephants, birds, rhinos, lions and more. A super book which is really attractive and child-friendly. This write-on-wipe-off card set features reusable surfaces so children can easily practise their handwriting, wipe it away, and start again. All filed neatly in a card box, which also holds the pen so it doesn't get lost, this is a neat set perfect for practising anytime, anywhere - even just a card at a time will prove of real benefit. Cursive writing is an essential skill, even in our digital age. Using the included dry-erase pen, children can master upper- and lowercase letters, as well as words and sentences. And with 40 cards in the box, there's plenty of space for children to write, which encourages repetition and success - and then they can wipe-off and start again, seeing improvement every time. There's no reason why handwriting books should be boring - and this one certainly is not. Following the success of her vocabulary builder, One Thousand Things, the author brings us a book of handwriting exercises for children to learn to write their first words. It starts with shapes to draw and these, as is the rest of the book, are accompanied by stylish illustrations. The book goes on to letters and numbers, all with ledger lines with ghost-written, print-style letters, providing a fun way to reinforce important early skills. There are words to complete, counting activities and many more fun activities to make early writing really enjoyable. This book takes your child methodically through letters, starting with lower case letters of the alphabet grouped by difficulty. It then covers capitals, tall letters, tricky letters. These are followed by writing exercises which cover a variety of interesting topics - rhymes, writing notes, messages and an invitation. The clear easy to follow format of the book enables children to work independently, and workbook style exercises consolidate learning. Focus points on each page highlight key points for adults. Correct letter formation is shown by coloured dots and arrows indicating how to form each letter shape; dotted lines to write over; and guidelines indicating the height and length of letters. This book builds on the learning in Book 1, with a focus on joining letters. The different ways used to join letters are clearly shown and then the child is able to practise firstly by following the dots and then by writing independently. Learning builds up step by step in a way that develops confidence and allows just short bursts of learning if that suits your child. Then there are real-life copying tasks to reinforce learning. The book is easy to follow, with clear uncluttered pages - attractive but not distracting. Good value too with plenty of exercises to do. Children love the friendly Letterland creatures so they will thoroughly enjoy learning to write with their help. This wipe-clean alphabet book has the pen neatly stored in a box on the front cover so it doesn't get lost. Each letter has its own page with a neat little rhyme which explains how to draw the letter - one for the lower case and one for the upper. This is a really clever way of helping children to remember. The pages are colourful (of course! ), clear and really attractive with lots of extra fun on the page as well as the basic letters to trace over - the pictures give the chance to draw over smaller letters thus refining skills and adding to the useful life of the book. There is so much here - one of the best handwriting books I have seen and children will find it extremely enjoyable. It's no use getting all the answers right if the examiner can't read what you have written! This, of course, applies to everything we do, not just to SATS papers, so this book has a wide application. We can fall into the error of thinking that children have learnt to write by Year 6 and don't need to improve any further - but there is generally plenty of room for improvement! And that's where this book comes in, as it shows all the letters and how to join them neatly. Each letter has sentences to copy and a paragraph to write out too. This book emphasises the importance of KS2 children having consistent handwriting which uses appropriate joining lines. It is split up according to the joining style of the letter and letter type - diagonal and horizontal to little and tall letters, with extra pages covering every type. Each type has a full page of different sentences to copy, ensuring plenty of opportunity to perfect this vital skill. And to avoid boredom, there are plenty of the fun cartoons CGP are so well known for! This is a striking book, with its strong shiny pages and bright colours against an uncluttered white background - unusual and most attractive. There are lots of dotted line shapes to draw around on the gorgeous illustrations - the teddies are my favourite! Draw the shapes on the tortoise's shell; give the two spiders eight wiggly legs and so on up to 10 yellow chicks. It's a lot more fun than just tracing lines across the page!Children need to learn early pen control and this is a fun way to practise Practice is the key when learning to write, so wipe-clean books are ideal, as children can try over and over again. As their confidence grows, they will be thrilled to see the improvement. I like the way that the cover of the book advises parents to ask the child's permission before rubbing out the writing - we can forget that children take a pride in their work and may not want to see it erased straightaway. Save it to show Mum or Dad later, then have the fun of a fresh start next day. The book helps counting skills too! A pen is included. Starting with colourful photos with dotted lines to draw round, the book moves on to circles, curves and lines, ensuring children have plenty of experience with the necessary shapes before starting letters. Then there's an activity for each letter - much more fun than writing the letter alone. Complete alphabets, upper and lower case, and a page for free play complete the book. The pages are sturdy and durable and a pen is included. The wipe clean format is excellent, allowing children to practise over and over again and meaning that you can introduce this book from a young age and know it will get lots of use. A lovely bright and fun introduction to writing. As with all CGP books, this is bright,, colourful and engaging - a book that children will enjoy and look forward to completing. There are several different approaches to writing in this book - first, the various groups of letter shapes are covered, then the different ways of joining letters; capital letters are also included. Each activity has letters to trace over and lines to allow the child to draw the letters themselves. Amusing illustrations will keep children interested. An excellent handwriting workbook. This is one of the most interesting and fun handwriting workbooks I have seen in a long while. Children will love to learn lots of facts about creepy-crawlies while they are having fun practising their handwriting - and with four A4 pages for each letter, there's plenty of scope for practice. For each letter, there are upper and lower case letters to copy, then a creature based word; then a fact, then more words with the same beginning letter and finally, space for children to write their own words. Often, we are asked for handwriting books for older children - I will recommend this because it looks 'grown up' and it stimulating and fun even for older children. The use of colour and amusing colour cartoons is also excellent. There are fun activities at the end, and each page is perforated for easy use and photocopying. Highly recommended. With the help of the snakes in this Alf 'n Bet book children learn handwriting skills and how useful they are for recording, planning and letter-writing. It's great fun and an entertaining story as well as a very practical guide to handwriting. Really colourful and with plenty of humour, this is a great way to make learning to write really enjoyable and worthwhile.There are plenty of ideas for creative writing to try out those newly acquired handwriting skills too, so children can put them to practical use. Excellent value. Look out for Alf 'n Bet Learn Their ABC too. You can buy this book from the Child's Play website.